Opening this Easter long weekend is Earl’s newest location at Station Square in Burnaby. This location is the second Earls to open in B.C. since 2010 and the first new location to open in Burnaby in 20 years. It follows the successful launch of Earls Ambleside Beach in West Vancouver last year. 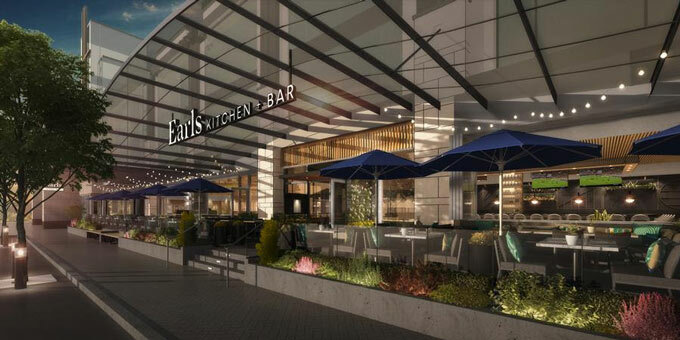 Earls Station Square will feature new and legacy Earls dishes including an epic brunch offering, along with lunch, dinner and happy hour selections. Exclusive to this location will be the Spicy Thai Lobster Salad, Lobster Tostada and Blackberry Peach Cobbler. Along with its six permanent plant-based items, Earls is offering a new, even meatier Beyond Burger 2.0, a 100% plant-based burger that looks, cooks and satisfies just like beef. Earls will be the first premium casual restaurant group in Canada to offer the Beyond Burger on its menus. This burger will be served on a vegan and gluten-free bun, with vegan mayo as well as lettuce, onion, tomato and mustard for the ultimate vegan-friendly burger experience. After winning “Best Cocktail Program in North America” at the 2018 VIBE Awards, it’s no surprise that head bartender Cameron Bogue has delivered another extensive craft cocktail list for the Burnaby community. This includes delicious collaboration creations from world-renowned international bartenders as well as tried and true fan favourites like Moscow Mules, Caesars and Margaritas. In-house sommelier David Stansfield adds to guest choices with a range of classic and progressive, local and not-so-local wine and beers for every taste and price point. Daily Rituals, Happy Hour (3-6pm daily) and Late Night Happy Hour (9pm-close daily) are also back with a variety of drinks on special every day, including ½ price bottles of wine on Tuesdays! Earls Station Square will feature a modern and bold design and a lively, social atmosphere, seating up to 287 guests, including 88 on an elevated seasonal patio. It will be the first restaurant to open on ‘Restaurant Row’, an up-and-coming retail and dining precinct adjacent to Metrotown Shopping Centre. 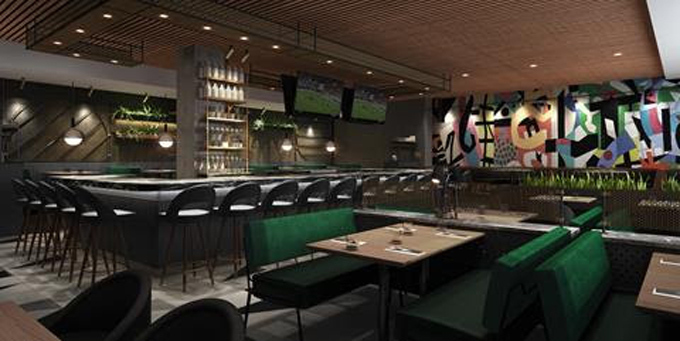 The interior of Earls Station Square will feature punchy colours, strong geometrics and black metal work with intimate lighting and an abundance of indoor plants throughout the lounge, bar and dining room. Local modern art also plays a huge role in this location, from the charming vintage photograph by influential Vancouver photographer Fred Herzog which greets you at the entry, to the commissioned mural by Burnaby-born artist Priscilla Yu that draws you into the lounge. Finally, a curated gallery wall, produced in collaboration with the Burnaby Arts Council showcases paintings and prints created by local (Burnaby and BC-based) artists. 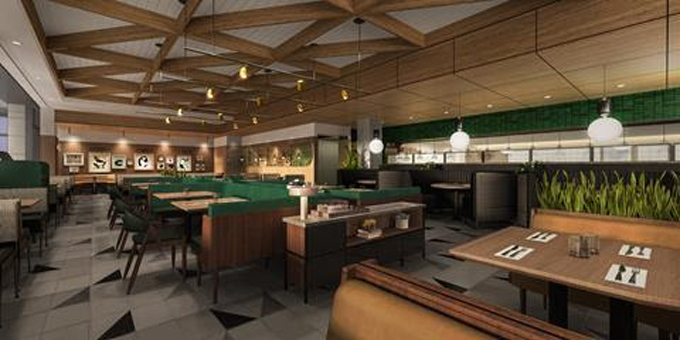 A portion of the restaurant will be available for reservations via earls.ca. All other guests will be welcomed on a first-come-first-serve basis.